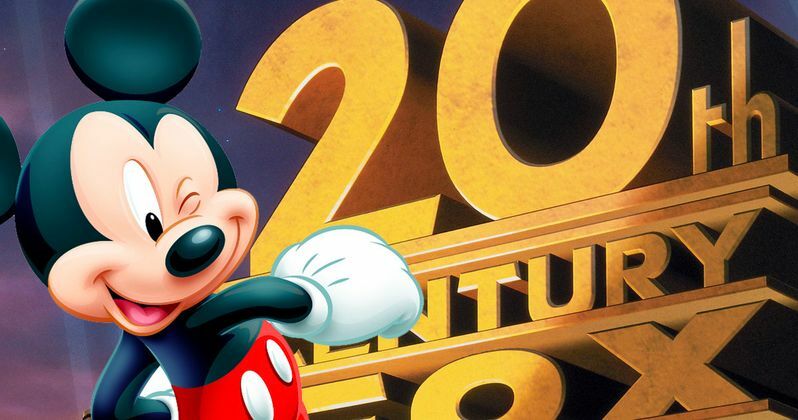 The Disney / Fox merger went into effect as of 12:02 a.m. E.T., meaning Disney is now the most powerful media company on the planet. That means Disney CEO Bob Iger is a more powerful man than ever before. And he was quite powerful in Hollywood previously, there's no doubt about that. As the merger was set to close in the late hours of the day, the studio issued a press release confirming the news that had already made its way out into the world, but it did include Iger's first comments on the matter since the deal officially wrapped up. This landmark media merger has been in the works since December 2017 and it's taken quite some time to actually get the deal approved around the world, with regulators becoming concerned that Disney could end up with a monopoly on certain types of entertainment. They ended up having to sell off the regional sports networks acquired from 21st Century Fox, since they already own ESPN, but that's a drop in the bucket. Here's what Bob Iger had to say about the deal. "This is an extraordinary and historic moment for us, one that will create significant long-term value for our company and our shareholders. Combining Disney's and 21st Century Fox's wealth of creative content and proven talent creates the preeminent global entertainment company, well positioned to lead in an incredibly dynamic and transformative era." Comcast tried to outbid Disney at one point last year, which forced the price to go up. Ultimately, Disney paid $71.3 billion for the majority of the company's assets. So what did they buy? The deal includes 20th Century Fox, Fox Searchlight Pictures, Fox 2000 Pictures, Fox Family and Fox Animation; Fox's television creative units, 20th Century Fox Television, FX Productions and Fox21; FX Networks; National Geographic Partners; Fox Networks Group International; Star India; and Fox's stakes in Hulu, Tata Sky and Endemol Shine Group. Considering they already own Marvel, Lucasfilm, Pixar and ESPN, that's incredible. There are certain parts of the deal, such as 20th Century Fox and the stake in Hulu, that have garnered a lot of attention, but it's important to realize just how much they just acquired. This will help Disney do two things; extend their international reach in a big way and help them get a huge leg up in the streaming game. Not only because they now have a majority stake in Hulu, but because they can also use Fox's vast library of content to benefit their upcoming streaming service, Disney+, which is viewed as a serious competitor to Netflix. Now, the X-Men and Fantastic Four can exist alongside The Avengers in the MCU. Disney can possibly revive some other great franchises. There are good things going on here. But there are also roughly 4,000 people who are going to be laid off and one of the most iconic studios in Hollywood history just got folded into a massive media conglomerate. It's about taking the good with the bad, mostly because there's nothing else that can be done at this point. Bow down to the Mouse House. This news comes to us directly from The Walt Disney Compay.